Baitfishing for pike yields catches on the edges of outlying islands during the hottest summer period. An islet off Storgrundet Island close to Kokkola. 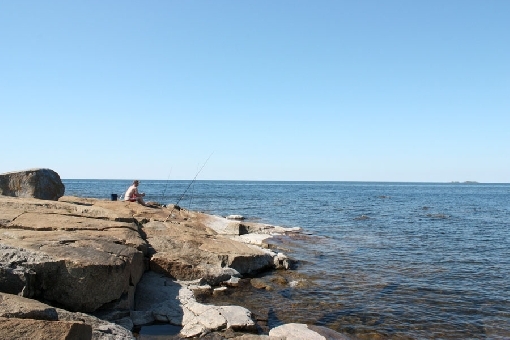 The Finnish West Coast offers diverse fishing environments with plenty of room for anglers enjoying peaceful nature. The coast and rivers of Ostrobothnia are the region's most significant waters in terms of fishing. This region is characterised by enormous expanses of fields and extensive swamps. The entire coast of the Gulf of Bothnia is low and flat, which is why the landscape is constantly transformed by the land uplift phenomenon – the land rises about 8 millimetres per year. Most freshwater species of fish also thrive in the Gulf of Bothnia. 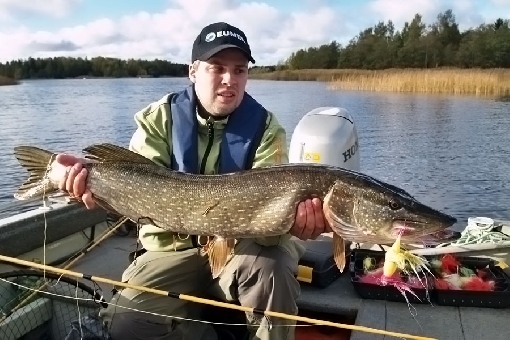 The most important game species for sports fishing in the coastal area include pike and perch. Island areas are splendid for fishing pike. 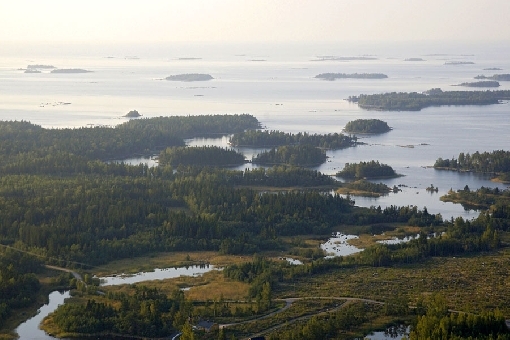 The magnificent Kvarken Archipelago off the coast of Vaasa is a famous perch area and full of pike as well. 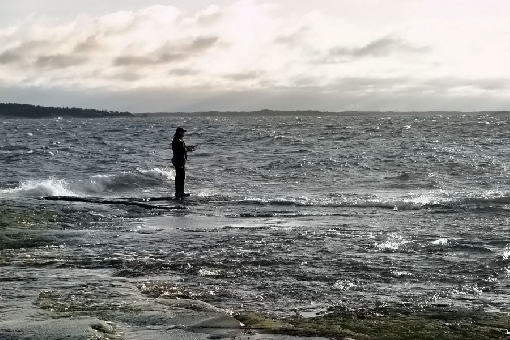 Fascinating areas for anglers include the Rauma Archipelago, the Oura Archipelago in Merikarvia, the Ahlainen Archipelago north of the City of Pori and the archipelago off the stretch of the coast between Pietarsaari and Kokkola. Archipelagos bring shelter to the otherwise open coast and are home to diverse stocks of fish species. Zander can mostly be found in the southern parts of the region. Other game species include sea trout, salmon, Baltic herring, whitefish, burbot, various cyprinids and grayling. Archipelagos and rivers are the most significant fishing grounds on the West Coast. Mustasaari Island in the Kvarken in the Gulf of Bothnia. 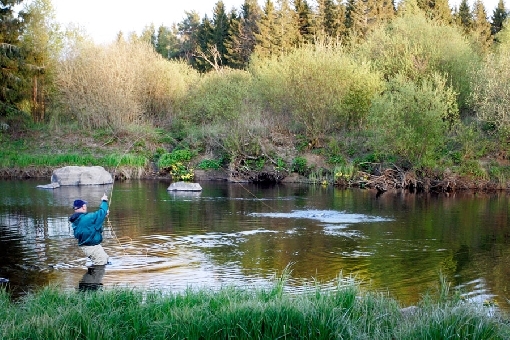 Great river fishing sites in the southern part of the region, in the area around Pori and Rauma, include Rivers Merikarvianjoki and Kokemäenjoki, where game species include sea trout, rainbow trout, grayling and Atlantic salmon. Zander and asp are also pursued in River Kokemäenjoki. 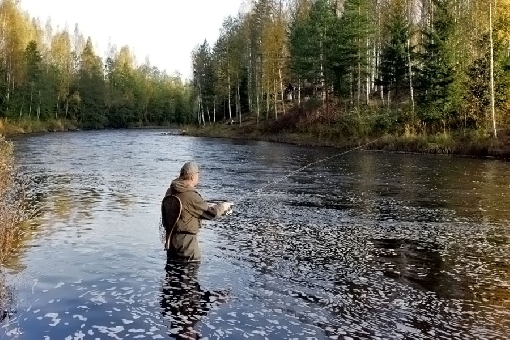 At the northernmost end of the Gulf of Bothnia known as the Bothnian Bay, Rivers Lestijoki and Iijoki are the best river sites, where game species include trout, grayling and rainbow trout. 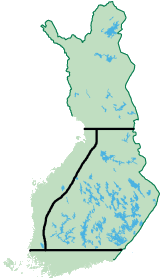 Other major rivers include River Lapväärtinjoki or Isojoki, flowing into the Bothnian Sea at the Town of Kristiinankaupunki, River Kyrönjoki that flows into the narrowest part of the Gulf of Bothnia known as the Kvarken, as well as Rivers Ähtävänjoki, Kalajoki, Pyhäjoki, Siikajoki, Oulujoki and Kiiminkijoki flowing into the Bothnian Bay. River Kynäsjoki in Pomarkku is a nice small-scale river site. Game species in many river sites include trout, grayling and rainbow trout. Common game species also include pike, perch, cyprinids and whitefish. River deltas are excellent fishing grounds and, with their abundance of birds, make for splendid hiking destinations. On the Stäävitkoski Rapids in May. River Merikarvianjoki is a well-managed fishing site. Even though the West Coast is the region with the fewest lakes in Finland, it still has thousands of small lakes and a few larger ones for fishing. The region's lakes are shallow. 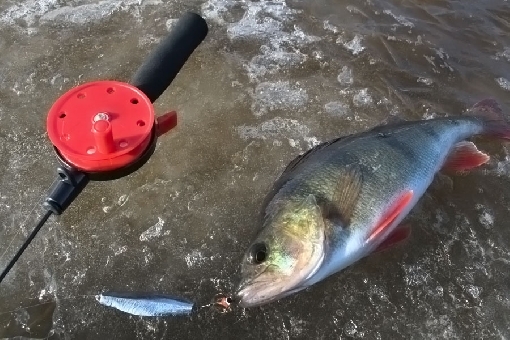 Lake Lestijärvi and Lake Pyhäjärvi in Säkylä are well-known sites for fishing big perch and pike. The game species in Lakes Isojärvi and Lappajärvi and in Lake Pyhäjärvi in Ostrobothnia also include zander. The Uljua Reservoir is known as a sure-fire spot for catching big pike and it has also won fame for its enormous burbot in recent years. Cyprinids can be found in all lakes. 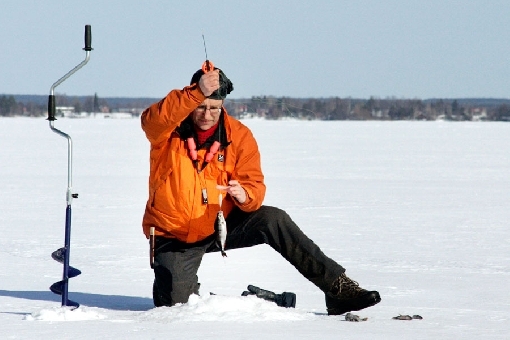 In March, anglers ice-fish for sizeable perch at 3–4 metres on the edges of mid-lake shallows on Lake Lappajärvi.